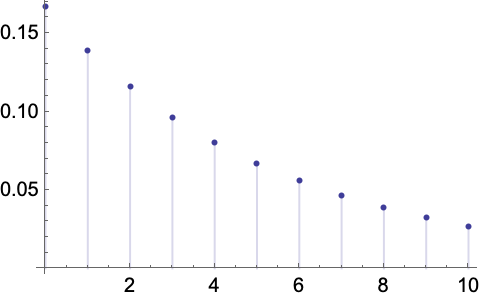 represents the stationary distribution of the process proc, when it exists. Stationary distribution is also known as limiting distribution, steady-state distribution, and invariant distribution. The stationary distribution, if it exists, is a slice distribution that is independent of the time and characterizes the limiting behavior of the process proc after all possible transients have vanished. StationaryDistribution[proc] is equivalent to SliceDistribution[proc,∞].